This honey is produced from hives located in Mesquite Trees. This imparts a unique flavor to the honey. 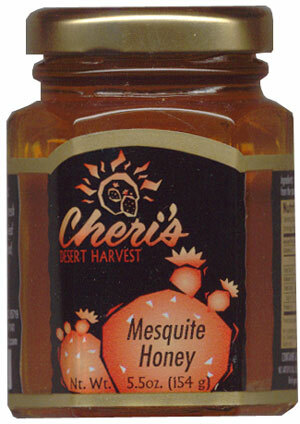 As with all our Cheri's Desert Harvest Products, Mesquite Honey contains no artificial colors or preservatives. Each Jar contains 5.5 Ounces of Honey.